I always wanted to create this image, and FINALLY I can say it is done!! ​My intention is to honor the drummers, the ground shakers, the ones who can dismantle structures just by using their sticks. Oh yeah! Those outcasts that it seems nobody likes because they are too loud, they are not only drummers but also giants in the spirit. Their beats are like the stomping of a thousand feet! 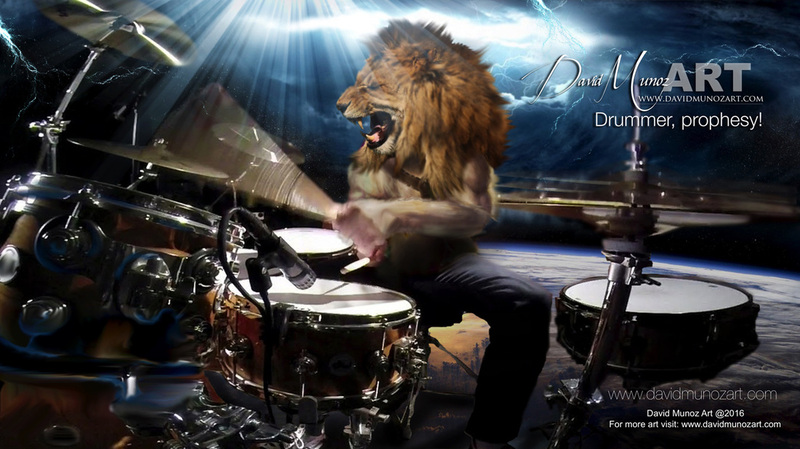 Prophesy, oh you Drummer, with your drums and cymbals. Make the earth shake and break the stones of tombs. Set the captives free tonight. One man but with the gear of an army - thats what you are, Royal Drummer. Tonight we honor you, Drummers. Tonight we declare over you: YOU ARE WEAPONS OF MASS DESTRUCTION! !